It's the only cake that can make the Kessel run in less than 12 parsecs. And yes, it really was for a wedding. I wonder if the lights are edible. I wouldn't have been able to eat something that took so much effort, though. This is a very unusual wedding cake. I prefer the classic, simple white cake. 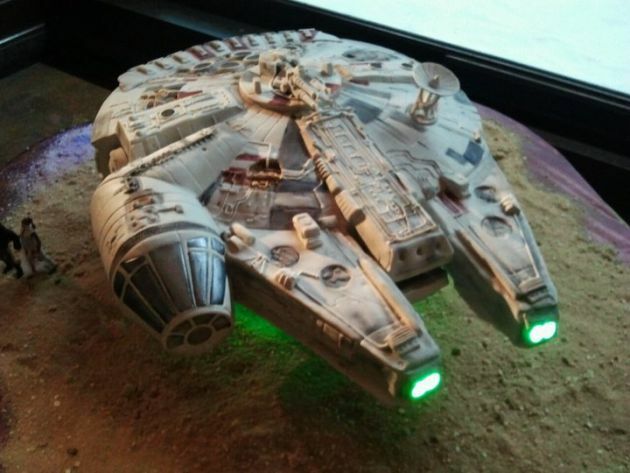 This Millennium Falcon Wedding Cake is truly fantastic. My fiancé will love it. We are planning a unique wedding ceremony at a local party venue Houston. This cake as well as the theme will be great an idea for our themed wedding. Thanks for the inspiration.